Up, up and away! Take your hemlines to new heights with the season’s hottest (and shortest) trend. The iconic miniskirt came into the spotlight in London in the 1960s, where it was instantly viewed as a symbol of rebellious youth culture. So much leg! Those scandalous youths (insert eyeroll emoji here). While a number of designers claimed to have started the groundbreaking trend, British designer Mary Quant has been credited by Vogue as being the 'Mother of the Mini'. Allegedly named after her favourite car (the Mini Cooper, obvs), Quant saw the miniskirt as a symbol of youth and "the most self-indulgent, optimistic fashion ever devised: young, liberated and exuberant — and the beginning of women's lib." What's not to love about that? A staple in fashion since its inception during the Swinging '60s, the miniskirt quickly became a worldwide phenomenon and has truly never gone out of style. Whatever your fashion sense, there's something available for every miniskirt fan. So go ahead and show some leg! In any season too. 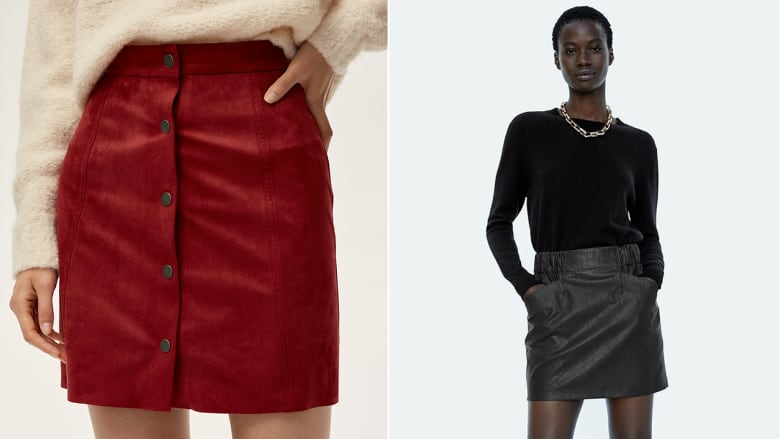 Read on for our top miniskirt picks and how to style them right now. 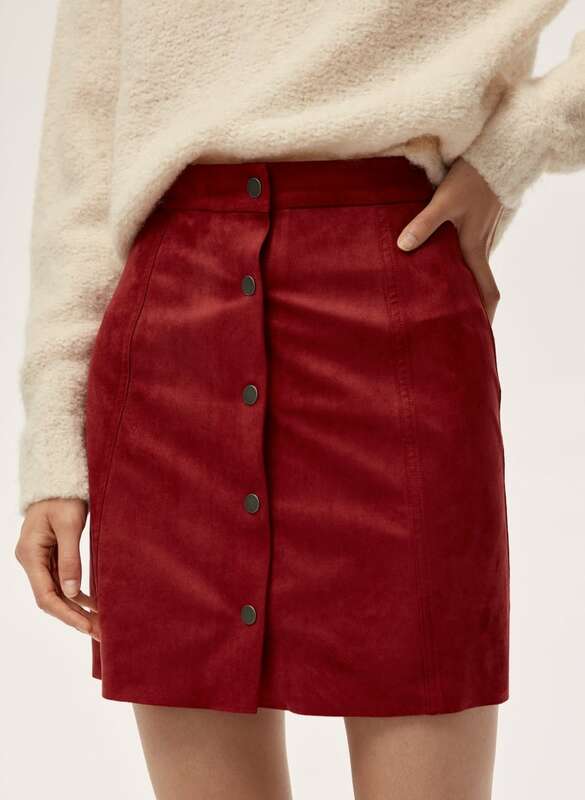 This classic vegan-suede miniskirt is ultra-feminine and can easily be dressed up with heels, or worn more relaxed with an oversized sweater and white tennis sneakers. If there's one thing everyone can agree on, it's the joy of pockets. 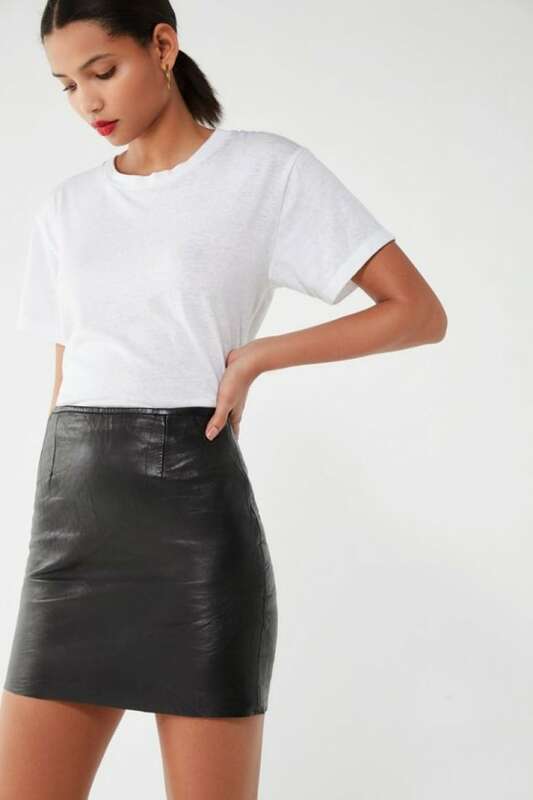 This pocketed faux leather skirt is not only functional, but also insanely chic. Added bonus: it can be styled with just about anything. The classic tennis skirt is a must-have wardrobe staple, and ideal for making a mini-statement. To avoid looking too juvenile or casual, style it with a mohair sweater and brogues. 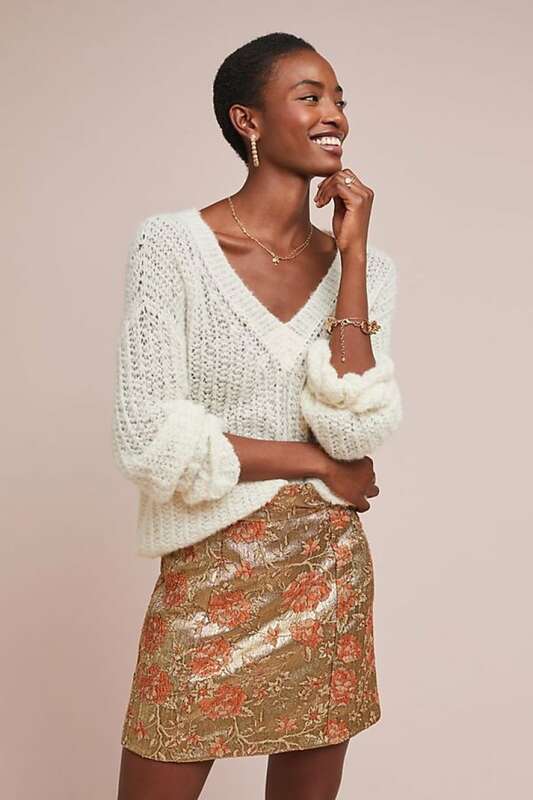 This structured yet delicate gold brocade skirt is incredibly flattering, and an excellent holiday party skirt option. For an easy daytime look, pair it with flats, opaque tights and a cashmere turtleneck. Simple and understated, this is perhaps the most perfect miniskirt ever. Keep it classic with a white t-shirt, red lips and booties, or pair it with heels and a chunky black turtleneck. This timeless black and white gingham mini is perfect for dinner with friends, a first date, and everything in between. Pair it with a bright cable knit sweater and fancy pointy-toed flats for a feminine and ultra-chic look. We love the ruffled hem on this miniskirt, as it adds just the right amount of drama to the little black skirt (move over, LBD). Style it with statement heels and an off-the-shoulder sweater for an instant glam go-to look. 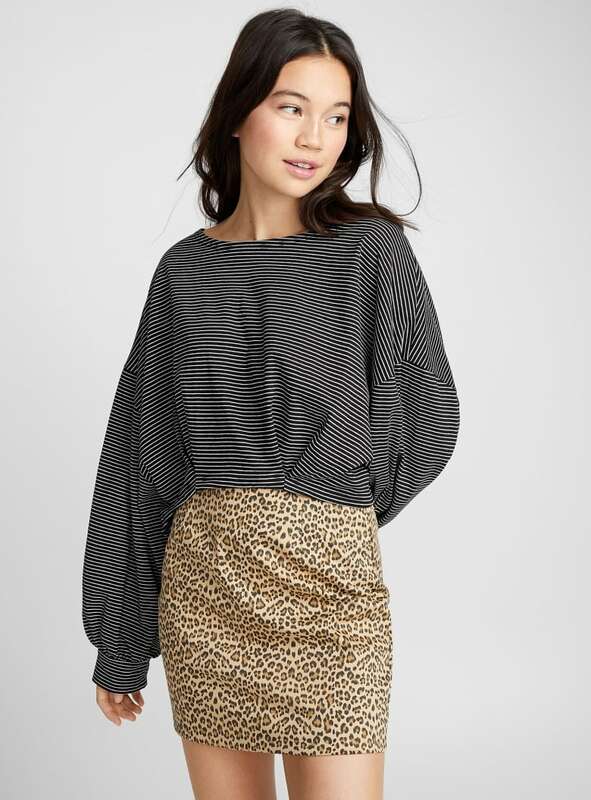 Just like the miniskirt, leopard print never goes out of style. We'd pair this high hemline with tights and chunky boots to give the look a cool, modern feel. Add a pop of colour to your wardrobe with this mod red button-front mini. Wear it with a tucked-in sweater or silk shirt for an effortlessly cool look. 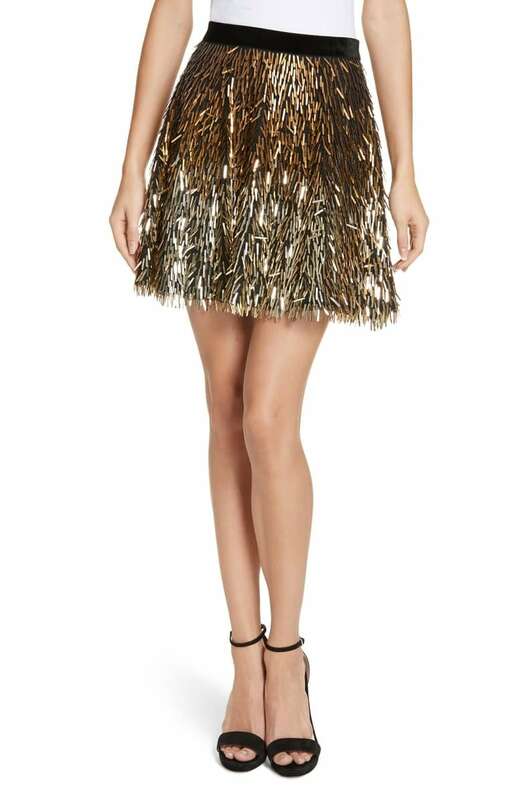 Perfect for the holidays, this stunning statement-making miniskirt has an ombré pattern of shimmery, arrow-shaped paillettes. Add to its glamorous appeal by teaming with feminine heels, a chic bag and bright red lips.